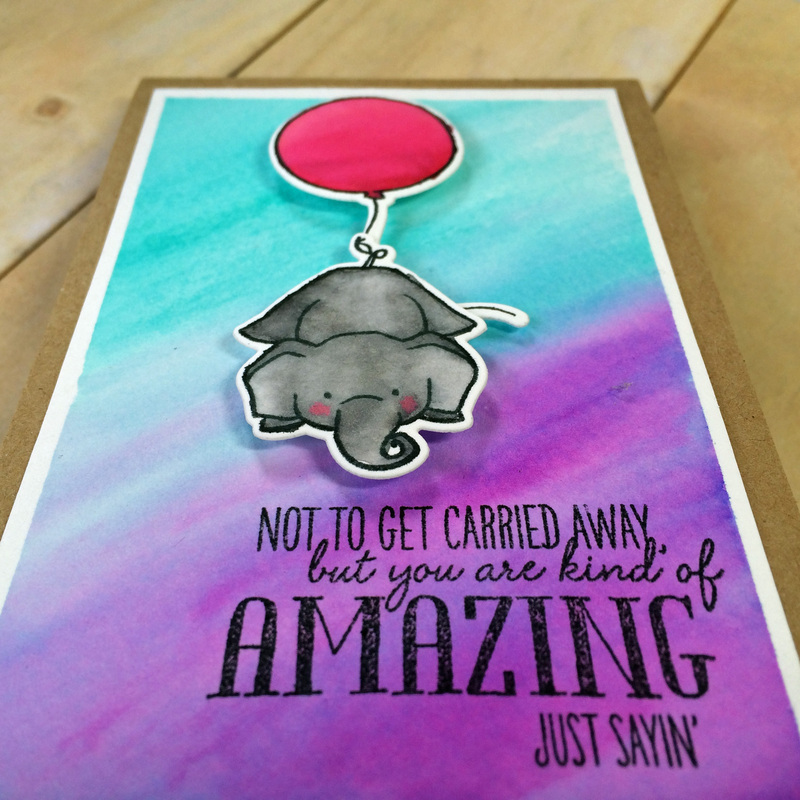 But you are kind of amazing. Isn’t that just too cute? 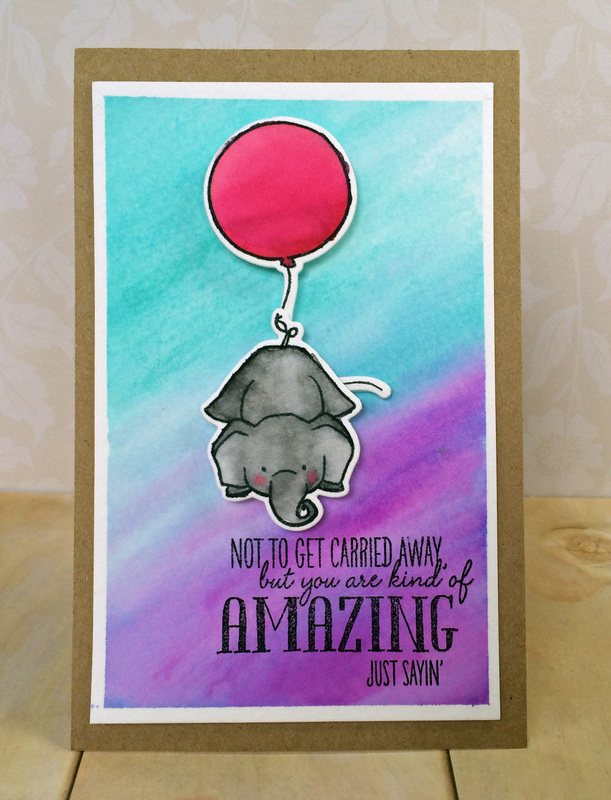 And perfect for both a birthday card and Francine’s NSD 2015 Challenge: Show Your True Colors to make a project using the colors purple and teal. I decided to break out my new Akashiya Sai Watercolor Brush Pens and give them a try. 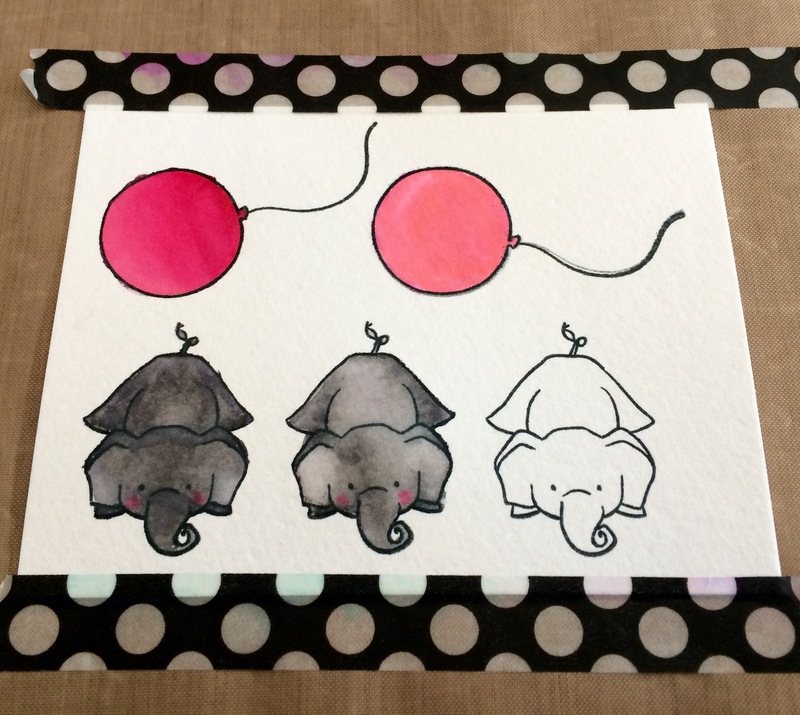 Let me just start by saying these cute little Wplus9 elephants are my second attempt, since my first ended up in the trash can. It seems I’m a bit impatient when it comes to letting paint dry. I highly recommend watching Kristina Werner’s video here to learn the best way to use these pens. There’s no shame in saying I think I watched her video more than once. He he. I think I’m liking these Brush Pens a tad bit more than the Spectrum Aqua Pens. Make sure you drop by Francine’s blog for a chance to win a FABULOUS prize!! Love your coloring! This is an amazing card!